Five Star Painting was featured as a painting expert during the month of December 2017 in consumer outlets with nearly 35 million unique visitors monthly. 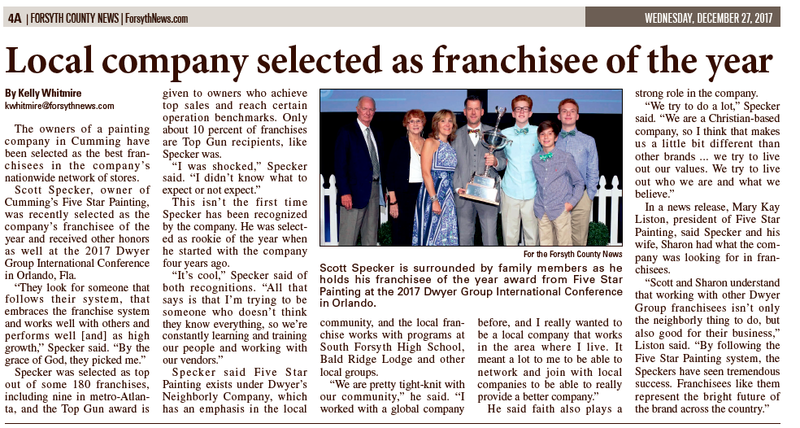 Outlets also featured our most recent Franchisee of the Year, Scott Specker, owner of Five Star Painting of Alpharetta and Suwanee. Their achievements were also recognized by the International Franchise Association, and printed in one of their member updates. 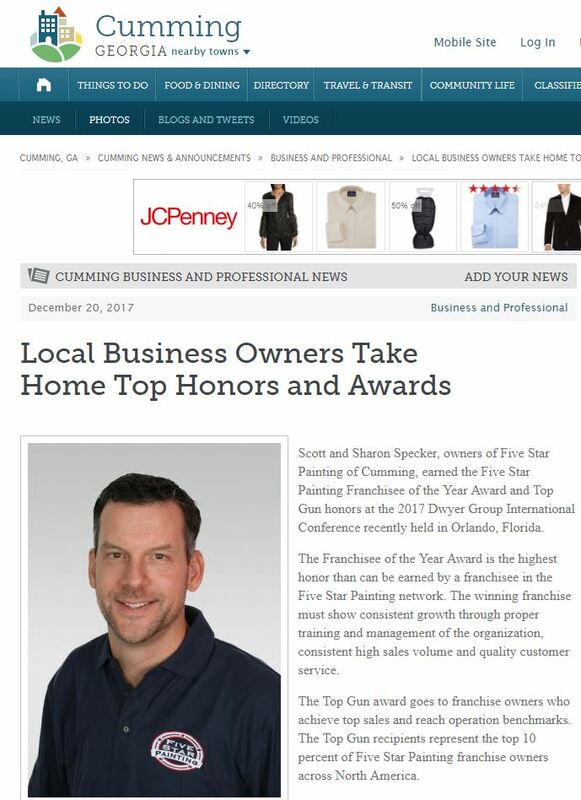 Scott serves as an example of our excellence in three stories covering his award of Franchisee of the Year. Consumer sites American Towns and Patch, along with the news outlet Forsyth County News published stories about this honor. You can read them at the links below. In addition, his story was shared in the most recent International Franchising Association, (IFA) smartbrief, which is emailed to all the organization's members. 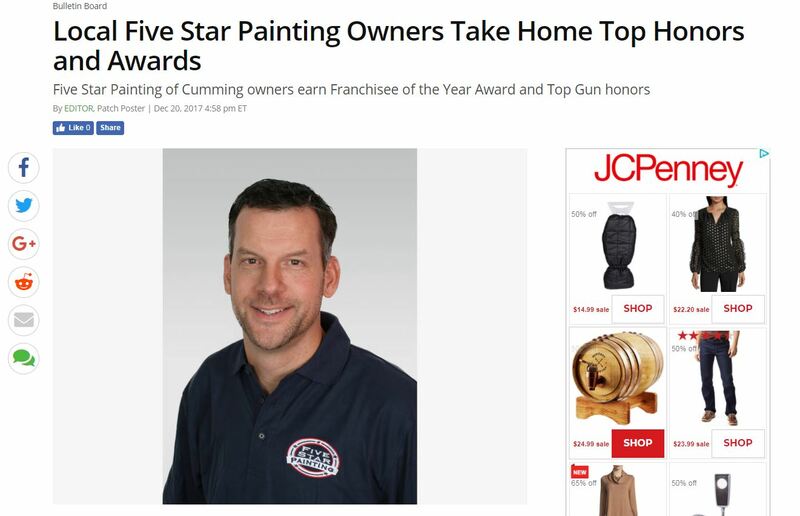 The Franchisee of the Year Award is the highest honor than can be earned by a franchisee in the Five Star Painting network. The winning franchise must show consistent growth through proper training and management of the organization, consistent high sales volume and quality customer service.